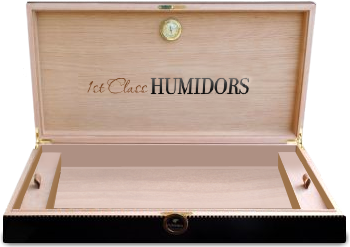 Welcome to 1st Class Humidors! If you are searching for a quality humidor or unique accessories at fantastic prices, look no further - you have found just the place! At 1st Class Cigar Humidors, our philosophy is simple. Quality products at the lowest possible prices coupled with exceptional customer service. Looking for Unique Humidors & Accessories at the Best Possible Prices? We can help! As you probably know, many dealers charge overwhelming prices for cigar related items. Even though cigar humidors are merely a place to store & age your cigars, you will still find their prices to be quite exorbitant. Why pay more? At 1st Class, you have your choice from an array of one-of-a-kind accessories at deeply discounted prices.